This week, our travel-pic theme is X for Xerox – black-and-white reproductions of some pics we’ve taken around the world. Well, she may have been right – but then again, she was a thirteen year old girl and they are sometimes given to making rash pronouncements without thinking things through. Actually, the whole story of Romeo and Juliet’s a bit like that – rather than being romantic, think of it this way: a three day fling between a 13 year old girl and her older lover leads to six deaths, including that of the two or them – and why? Because she’s a rebellious teenager arguing with her parents, and he’s a dude who can’t keep in in his pants. Anyway, enough of me being an old curmudgeon .. lets look at this particular rose, and where we found it. We were in England to see our eldest, who was (like tens of thousands of Aussies before him) spending a couple of years working as a barman in Britain. I had always wanted to see Oxford (even though with my marks I was never going to study there) and it was everything we expected .. grand, and peaceful, and quaint, and historic, and beautiful. It wasn’t just the historic old buildings though, or the carefully managed lawns, or the neat dormitory suburbs. It was also the flowers. Just about everywhere you looked, there were classic English gardens – and taking pride of place in many were the roses. Not just the deep, red, English rose, though – there were pale pink, and white, and yellow, and lavender. 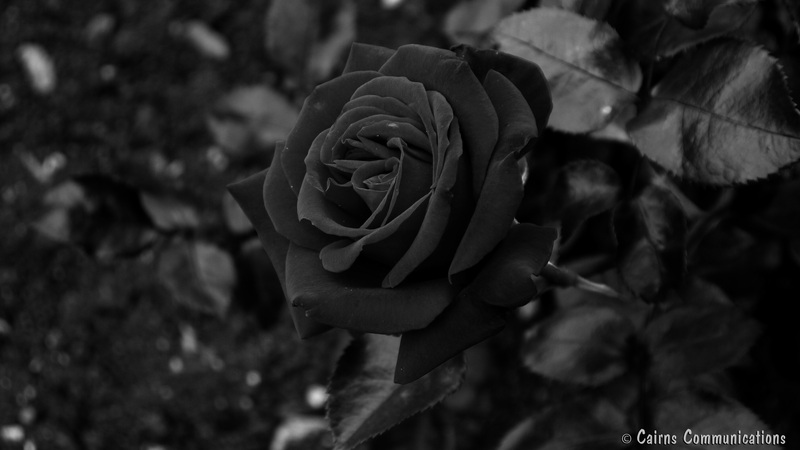 They were all beautiful in their own way – so I leave you with this monochromatic quandary: if a rose by any other name smells as sweet, does a rose by any other colour look as pretty?